Hearing Voices: W.C. Handy Nearly a century ago, musician W.C. 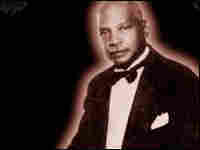 Handy recorded the first blues hit, "Memphis Blues." In the years that followed, he produced dozens of Billboard chart hits that were re-released again and again. Producer Barrett Golding of the Hearing Voices radio project profiles Handy, "the Father of the Blues." Nearly a century ago, musician W.C. Handy recorded the first blues hit, "Memphis Blues." In the years that followed, he produced dozens of Billboard chart hits that were re-released again and again. Producer Barrett Golding of the Hearing Voices radio project profiles Handy, "the Father of the Blues."